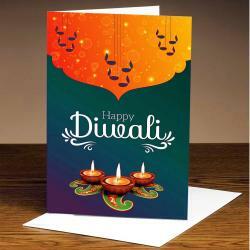 Product Consists : Tea Light Candle along with Artificial Diwali Rangoli Design (5 Pieces with 1 Center Ethnic Golden Print Piece). Gifting Rangoli is one of the best gift which has a purpose of bringing Good luck and Rangoli is a must on Diwali and New Year day too, to welcome Goddess Lakshmi. For the Rangoli lovers, Diwali is the time to showcase their art of Rangoli making. But if being a Rangoli lover you are not a good Rangoli maker it is never a matter to feel upset as Artificial Rangoli is available everywhere. It is the perfect thing for the loved ones not so good in the art of making Rangoli but willing to beautify homes on Diwali with best Rangoli designs. 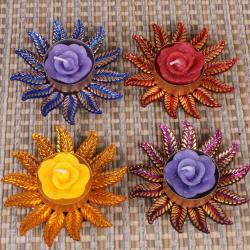 Availability of Artificial Rangoli is in amazing designs and patterns. 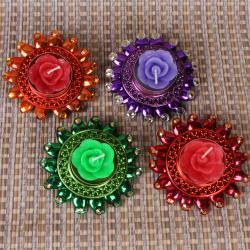 These are basical Rangoli to arrange very easy making. 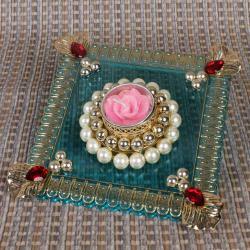 This Acrylic Rangoli is designed with types material like Kundan, Metal beads and much more. Gift your loved ones this unique Acrylic Rangoli adorned with Unique decoration shapes material to make this a masterpiece by itself. It Can be used as a festival gift and also for home decoration of your own. 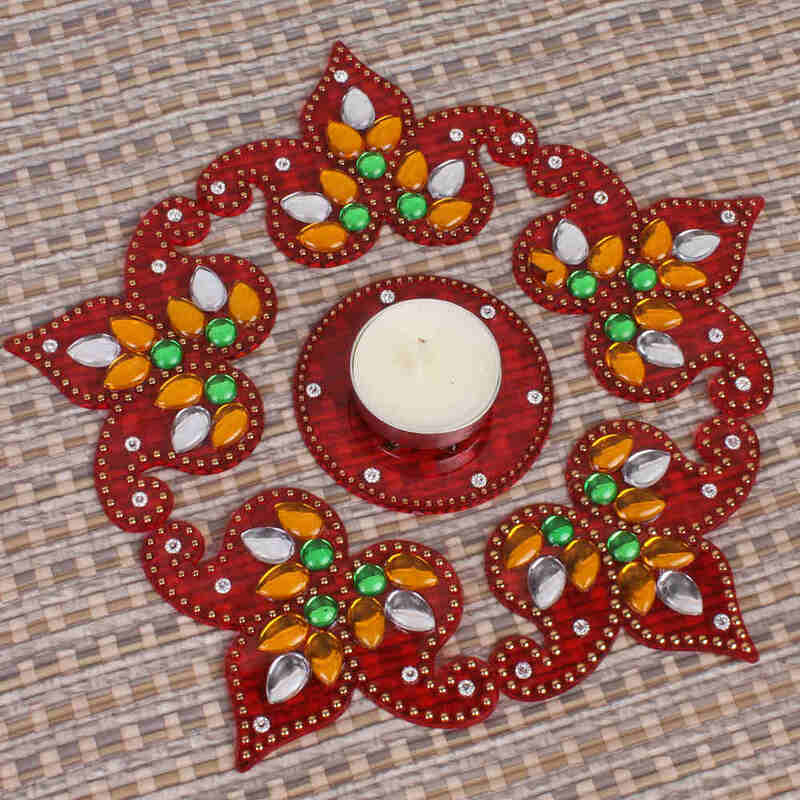 Product Includes : Tea Light Candle along with Artificial Diwali Rangoli Design (5 Pieces with 1 Center Ethnic Golden Print Piece).